Mary Javian’s goal as a performer, educator, curator and public speaker is to use music to create positive social change in communities. She has presented around the world in these areas for nearly two decades. Ms. Javian has toured and performed with the Philadelphia Orchestra and other world-class ensembles as a double bassist. 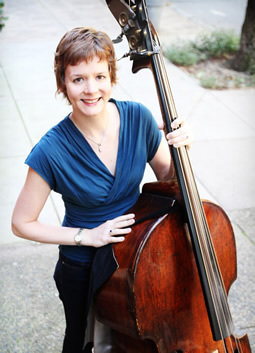 She has served as principal bass of the IRIS Orchestra and has recorded with the Philadelphia and IRIS orchestras, the Tanglewood Music Center, Network for New Music, and the Apple Hill Center for Chamber Music. She has performed recitals and given master classes in the U.S., Europe, and Asia. Ms. Javian has received fellowships from the Tanglewood Music Center, the National Repertory Orchestra, the National Symphony Orchestra, and the Verbier Festival, where she is now a member of the faculty. As chair of career studies at Curtis, Ms. Javian has created a dynamic social entrepreneurship curriculum that develops the entrepreneurial and advocacy skills that 21st-century musicians need. Her project-based classes help students create community partnerships that sustain both artistic and social value. Her students have gone on to start their own educational programs, innovative ensembles, and music festivals around the world. Ms. Javian curates a critically acclaimed concert series for LiveConnections, featuring boundary-crossing collaborations and emphasizing newly commissioned music that blends styles and cultures. She has also curated performances for Intercultural Journeys, an organization that promotes peace and cultural dialogue through music; and works with Curtis students to create concerts for families and new audiences through innovative partnerships with arts organizations across Philadelphia. Ms. Javian is frequently asked to speak about social entrepreneurship and community-based work, and has contributed to several books on these subjects. She has presented at numerous universities and conservatories; has consulted with organizations such as the Philadelphia Orchestra, the New World Symphony, the Atlanta Symphony Orchestra, and the Savannah Music Festival; and has led workshops for El Sistema programs across the U.S. Ms. Javian currently serves on the boards of two music education nonprofits, Project 440 and the VCM Foundation USA. 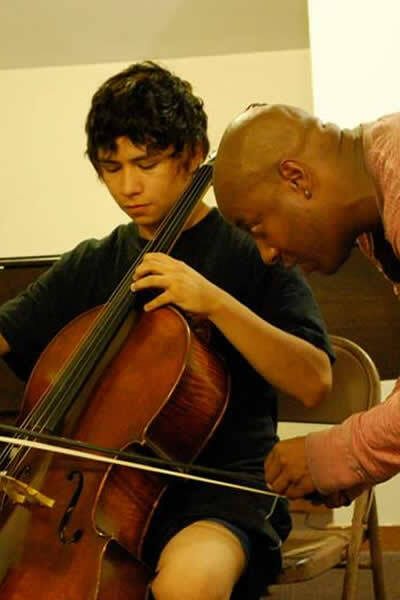 A graduate of the Curtis Institute of Music, Ms. Javian studied double bass with Harold Robinson. She joined the Curtis faculty in 2011 and assumed her current position in 2016.